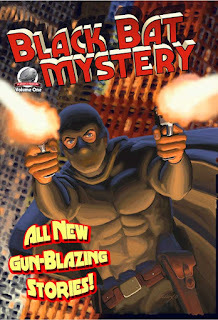 The first in a series of brand new Black Bat adventures, “Black Bat Mystery, Vol One” was one of the last books to be published by Cornerstone Books during their association with Airship 27 Productions. Out of print for several years now, Airship 27 Productions is delighted to announce the release of this new, wholly Airship 27 Edition. The book was nominated for several Pulp Factory Awards when first released in 2010. It features four great pulp tales of the Black Bat by Andrew Salmon, Aaron Smith, Mark Justice and Frank Schildiner. Art Director Rob Davis provides the gorgeous 12 black and white interior illustrations and Mark Maddox the stunning painted cover. 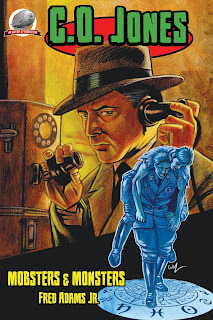 Airship 27 Productions is currently assembling Vol II in this series and thus, having this one back in print was a major part of that marketing promotion. Available now from Amazon in both hard copy and on Kindle. 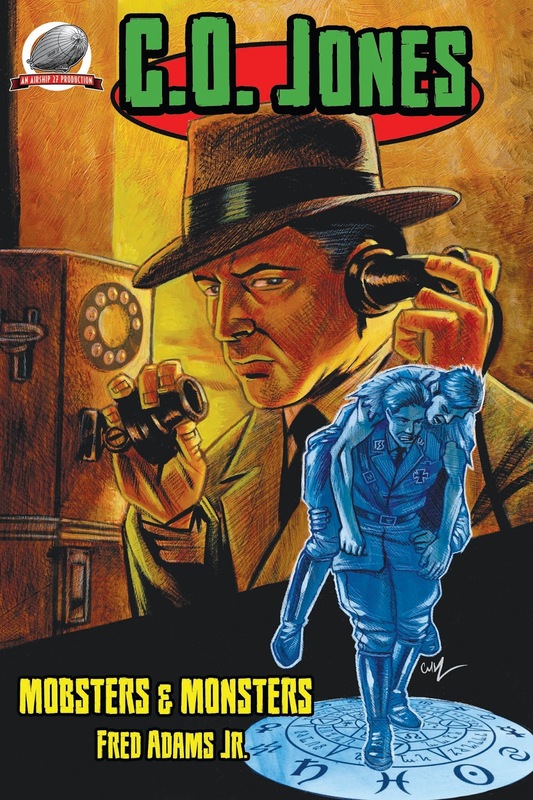 Airship 27 Productions is thrilled to announce the latest pulp thriller by one of the fastest rising stars in the New Pulp field, Fred Adams, Jr.
During World War II, C.O. Jones, under a different name, was recruited into a special unit of the OSS (Office of Strategic Services). Special in that all the members had some kind of extrasensory abilities bordering on magic. Their main mission was to seek out and combat the Nazis’ top secret Occult Practioners. But the war is over and C.O. is just another veteran looking for a fresh start. He hopes the quiet little town of Brownsville, Pennsylvania is the perfect place to do so. Until, that is, he gets involved with the local criminal element and discovers, through his own unique gifts, that someone is using dark magic to further their own illegal agenda. For C.O. Jones, it seems the ways of magic are to be found in the most unlikely places. Fred Adams, Jr. delivers another scorching thriller that races across the pages with fresh, original characters, suspense and ever-exploding action. Features spot illustrations by artist Clayton Hinkle with a stunning cover by Carl Yonders, all under the guidance of award winning Art Director, Rob Davis. Hold on to your seatbelts as you meet the C.O. Jones, one of the toughest new pulp heroes of them all. Available now at Amazon in hard copy and soon on Kindle.